I am currently in New York City with the boyz for a PR event as I type this. But I couldn't let this "Bloggy Boot Camp Day" go by without a mention of this fabulous conference! 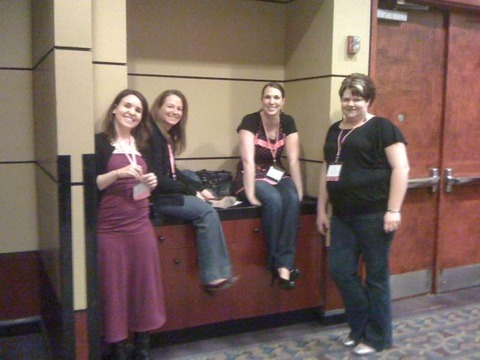 High off of BlissDom, I must tell you that the one-day conferences hosted by the SITS girls in various cities are also very close to my heart. 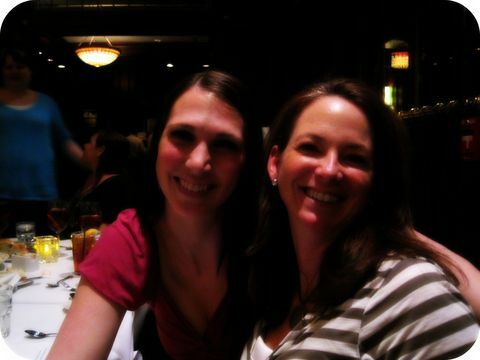 Tiffany, SITS founder extraordinaire, and I met many moons ago and hit it off immediately! What Tiffany (and Francesca and Kat and Angie) have done is create a one-day blogging workshop at a low low cost for the blogger. The speakers they find for each city are varied, dynamic, and informative. The atmosphere they have created, much like BlissDom, is one of inclusiveness and sharing. And the best part? (Besides the affordable conference fee, that is.) Bloggy Boot Camp encourages anxiety-free meeting others with their assigned seating for every session throughout the day. If you come alone, there's no worrying about where to sit! I have been lucky to be able to attend the inaugural Bloggy Boot Camp in Baltimore and also the one in Boston. I would LURVE to catch up with friends old and new in Philly this year, or what better way to experience Las Vegas for the first time than with the SITS gals?! Check out their site for a Bloggy Boot Camp near you in 2012! You won't regret it!